La Leche League Waltham Forest | "Let's walk together for a while"
Come along and enjoy informal chat over tea and coffee with other breastfeeding mothers, babies and toddlers. For mothers and their breastfeeding toddlers and older babies: coffee and chat around topics such as night-time, gentle discipline, weaning and the growing family. For pregnant women, new and experienced mothers: come and chat around topics such as beginning breastfeeding, avoiding difficulties, common concerns, starting solids and night-times. All breastfeeding topics and questions welcome. Want to talk or need more info? You don’t have to wait for meetings for help and support from La Leche League. Worried you’ll miss a meeting? 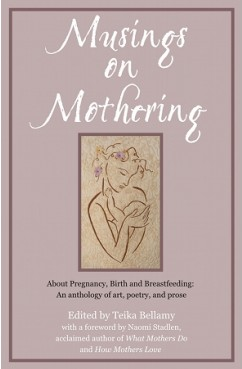 The ambition of Mother’s Milk Books is to publish books for children and adults that normalize breastfeeding. There are very few children’s books on the market that illustrate the natural beauty of the breastfeeding mother-baby dyad, and we at Mother’s Milk Books would like to change that!